I have a confession to make: I’m a reluctant self-help reader. Fiction is typically my preference over nonfiction, and I’ve been especially resistant to self-help books. I thought they weren’t really my thing, and I think I had a vague, unfair assumption that most self-help books would be unscientific psychobabble. Over the last few months, though, I’ve been devouring self-help books, and these favorites have actually improved my quality of life. This book is the one that had me completely rethinking my attitude toward self-help books. You won’t find any pseudoscience or vague personal ideas here. Instead, research psychologist Roy F. Baumeister and science writer John Tierney lay out what scientists have learned about the nature of willpower through decades of research. They offer concrete steps individuals can take to improve their self-control and share fascinating related anecdotes. Best of all, though, they back up every claim by describing the experiments and studies that scientists used to understand how to exercise and build willpower. This was an engrossing read for me, and I have been actively applying its ideas in my life. I also can’t stop sharing interesting details from it with my friends and coworkers. This book really did change me. I wrote a glowing review of it last summer, so I won’t go into too much detail here. Though The Life-Changing Magic of Tidying Up isn’t as scientific as some of the others on the list, it is based on the strategies used by the author, a wildly popular professional organizer from Japan. Her basic principle is that you go, category by category, through every item in your home, hold it close and decide whether or not it “sparks joy.” If it doesn’t, you toss it. As hokey as that might sound, it radically changed the way I look my belongings. I now buy less to begin with, get rid of anything I don’t need and love, and keep my home tidier than ever before. As the subtitle suggests, Switch explains how individuals and organizations can motivate and implement change. Even when we want to change something, human nature makes us resistant. The authors dedicate each chapter to a specific strategy for overcoming that resistance. I loved how organized and easy to follow Switch was. Even though this book was a bestseller, I didn’t love it nearly as much as the others on the list. The structure was confusing, a lot of the book seemed like filler, and I felt like the authors were defining “habit” as everything and anything. In spite of those frustrations, I’m including The Power of Habit because the first three chapters and especially the appendix were fantastic. If you read just those sections, you’ll come away with a much better understanding of how our habits shape us and how we in turn can shape our habits. I’ve just started reading this book, so I can’t fully recommend it just yet. I think it’s going to be a good read, though. We often assume that those who achieve incredible things must have some kind of native genius; naturally talented, they were born to be Olympic gymnasts, concert pianists, political masterminds, or exceptional writers. Duckworth argues instead that extraordinary achievements result not from unusual intelligence or talent, but from what she calls “grit,” a mix of passion and persistent effort. I’ve been surprised as an adult by how much I enjoy reading memoirs. Plenty of these have been fluffy or funny celebrity memoirs, but in the last year or so, I’ve been drawn to powerful and sometimes troubling personal stories of people who have survived childhood trauma. Though it would be an exaggeration to call my own childhood traumatic, I’ve found wisdom, inspiration, humanity, and a surprising amount of connection in these stories. So, readers, here are a few of my favorite literary aspirins, memoirs of resilience, all told with compassion and honesty. Walls grew up in a family that moved from place to place, descending further into poverty and dysfunction as the years past in spite of their love for each other. Her father’s alcoholism and the mental illness of both parents caused extreme financial hardship and often left the Walls children in danger, but Jeannette and her siblings banded together to work their way out into the world. THE GLASS CASTLE is beautiful, horrifying, and unflinchingly honest, as Walls grapples to overcome her shame and stop hiding her past. I've been floored by just how good this recent release is. Tara Westover was raised in rural Idaho by survivalist parents who practice an extreme and bizarre take on Mormonism. Westover’s paranoid father, convinced the government was his enemy, had the children born at home so they wouldn’t have birth certificates, wouldn’t allow them to attend school, and insisted on home care by their herbalist mother for even the most life-threatening illnesses. A blind eye is turned to any abuse in the home. Westover eventually works her way to BYU, Cambridge, and eventually Harvard where she discovers the full emancipation of an education. Celebrated author Sherman Alexie has written fiction and poetry for all ages, but this is his first time publishing a memoir. He grew up on the Spokane Indian Reservation and was raised by an alcoholic father and a recovering alcoholic mother. He recounts the regular abuse, violence, and racism he both witnessed and experienced as a child in a moving mix of essays, letters, and poetry. He also describes the complicated relationship between himself and his mother as they both struggled with mental illness. Vance was raised Middletown Ohio by a family originally from Kentucky. His parents had moved for good factory jobs that temporarily provided them a middle class life, but never quite escaped the culture of poverty. Drug addiction, alcoholism, violence, and verbal abuse continue to plague their lives. Vance, now a Yale-educated lawyer, shares not just his own experiences, but an insightful sociological critique of hillbilly culture. This is not your typical celebrity memoir. Comedian Trevor Noah, best known as the current host of the Daily Show, grew up in Apartheid South Africa as the son of a black mother and a white man. His parents’ union was illegal, and Trevor’s visibly mixed heritage meant that he couldn’t be seen with either parent in public without risking their arrest. BORN A CRIME is largely a love letter to Noah’s mother, a powerful, devout woman who fiercely protected her son. So you've put together a great group for book club, and everyone's excited to get reading. If it's your turn, hosting can feel intimidating, but hopefully these tips will help. If you're choosing what the group reads, be thoughtful about your selection, and don’t leave it to the last minute. Be mindful of what the group will enjoy and have a good discussion about. It can help if you or someone else in the club have already read the book. That way no one is caught off guard by content and you know you'll have plenty of topics to discuss. If a few group members have already read it, don't hesitate to choose the book anyway. Chances are they'll enjoy the month off and will still be excited to discuss their thoughts. Be sure to mix things up as far as genre and audience go. Contemporary adult literature, historical fiction, and classics don't have to be your only options. YA and children's lit provide plenty of depth and a wonderful change of pace from typical book club reads, as do fantasy, science fiction, mysteries, and nonfiction. Still feel a little overwhelmed by options? Bring it to the group! Even though the host selects the book each month in our club, they typically discuss options with all of us before making the final call. Even if you’ve just read the book, doing a quick refresher on timelines, character names, and themes is a good idea. Sparknotes or Shmoop are perfect tools for this. I’ve been guilty of skipping this step and have been amazed at how much I’ve forgotten in the moment. 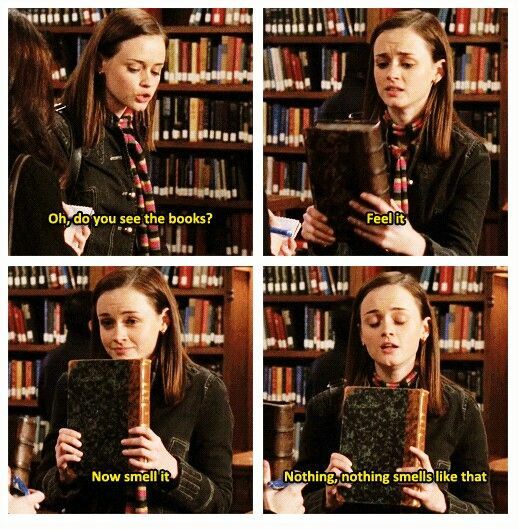 It’s helpful to do as a book club attendee too. You might think discussion will happen organically, and occasionally it does, but more often than not, you’ll need a plan. Discussion guides are easy to find online for classic and popular books at sites like LitLovers and Reading Group Guides. Author interviews or biographical articles also add a great depth to conversation. If the book you’ve chosen is one of our library book club sets, you’re in even better luck. Even if you aren’t checking out book club set, we’ve already done the research for you and have discussion guides and relevant articles for each book available on our website (see an example here). You don’t have to go all out, but refreshments can help loosen the mood and make things more fun. Don’t feel like cooking? My group often meets at restaurants, sometimes in ways that are vaguely related to the book (we met at Wingers while discussing CODE NAME VERITY, for instance). Book club is about books, but it’s also about friendship. We usually spend a good hour catching up on each other’s lives before discussing what we’ve read, and we don’t feel guilty about it at all. It’s all about finding a balance. Well, faithful readers, that brings our series on book clubs to an end. What did we miss? 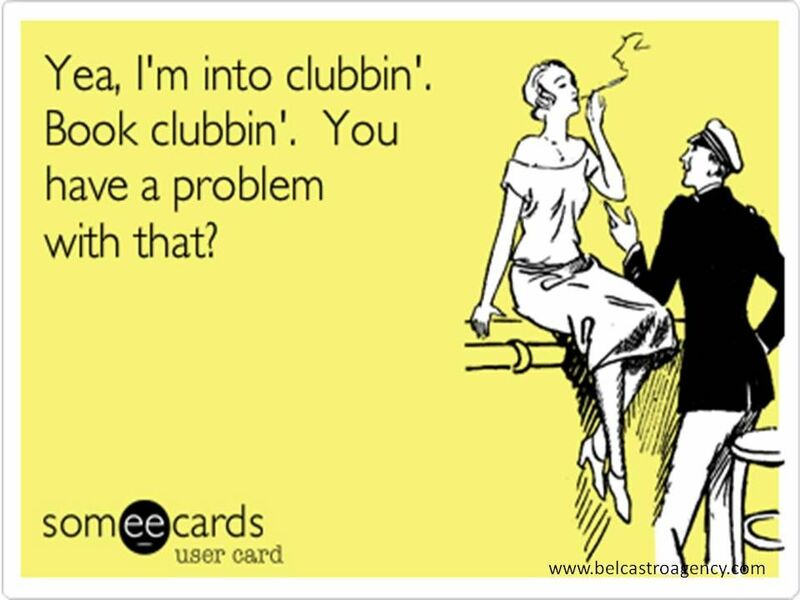 Why do you love your book club? How have you kept it alive and thriving?